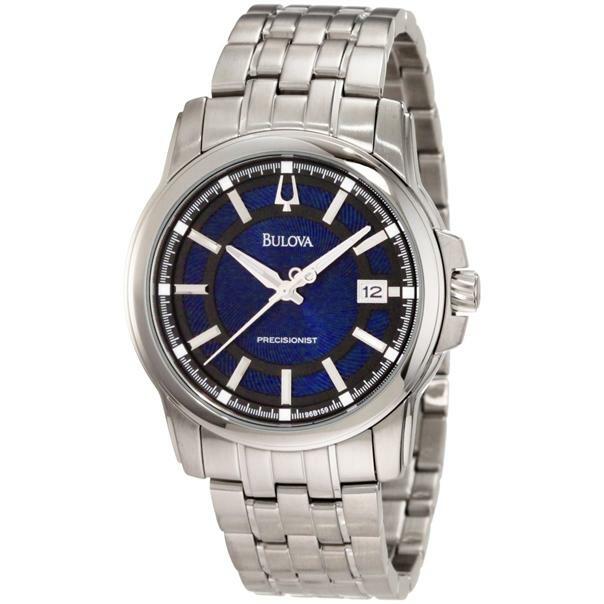 Bulova Mens 96B159 Precisionist Round Watch. The Precisionist by Bulova is the worlds most accurate watch, precise up to 10 seconds a year. Stainless steel bracelet Round case, 42mm, Black sunray dial with luminous accents, silver-tone hands, markers and date window, Continuously sweeping second hand, accurate to 10 seconds a year Quartz movement, Water resistant to 30 meters, Three-year limited warranty.